Legendary radio personality Bob Fass revolutionized late night FM radio by serving as a cultural hub for music, politics and audience participation for nearly 50 years. Long before today's innovations in social media, Fass utilized the airwaves for mobilization encouraging luminaries and ordinary listeners to talk openly and take the program in surprising directions. Fass and his committed group of friends, peers, and listeners proved time and time again through massive, planned meetups and other similar events that radio was not a solitary experience but rather a platform to unite communities of like-minded, or even just open-minded, individuals without the dependence on large scale corporate backing. Radio Unnameable is a visual and aural collage that pulls from Bob Fass's immense archive of audio from his program, film, photographs, and video that has been sitting dormant until now. 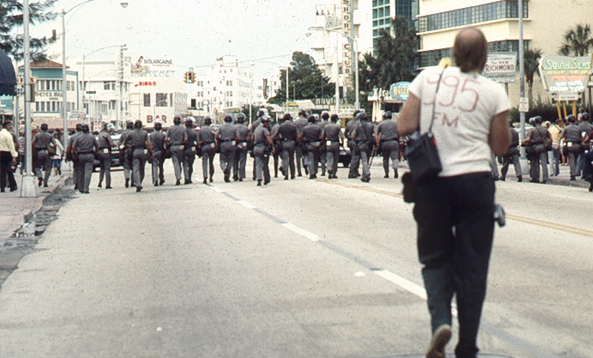 Revealing the underexposed world of independent radio, the film illustrates the intimate relationship Fass and, by extension, WBAI formed with their listeners that were strong enough to maintain the station’s role as one of the most successful listener-sponsored programs in the United States.